Hubballi: Five students from Avanti Learning Centres have cleared the IIT JEE Advanced 2018 exam making them eligible for admissions into the prestigious IITs. 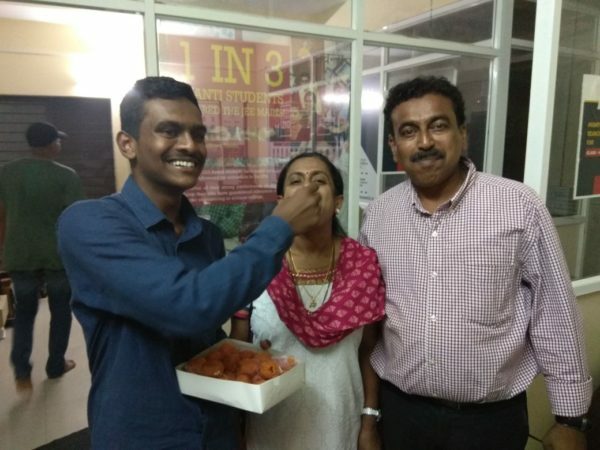 Debarsho Sannyasi, son of Anish Sannyasi has secured an ALL INDIA RANK of 585 while Chinmay Kunnur, son of Ashok Kunnur secured an ALL INDIA RANK of 3517. Followed by these two are Yash Bafna, Hritik Bhat and Shagun Bera who have secured an ALL INDIA RANK of 4502, 5122, and 7532 respectively. This year’s IIT JEE Advanced was conducted by IIT Kanpur. Of the 12 lakh students who appeared for JEE Main 2018, 1.55 lakh students were eligible to write the JEE Advanced and 18,138 students across the country have cleared IIT JEE Advanced. Avanti is the only institute to have consistently produced IIT Selections in the North Karnataka region, In 2017, 3 students from Avanti Dharwad got good ranks in IIT JEE Advanced and are presently studying in IIT Dharwad, IIST Trivandrum and IISER Pune. There is a lot of misinformation about college admissions in North Karnataka. Students do not prioritise preparation for competitive exams and instead focus on the boards. This is why there is such a low selection rate in the top engineering colleges in india despite the presence of many good schools and bright students. – Nishikant Singh, IIT Roorkee Alumnus, Chemistry Faculty at Avanti’s Hubli Centre. Debarsho Sannyasi, who also secured a CET Rank of 3 in Engineering attributed his success to the hard-work and systematic preparation; and the unwavering support of his parents and the teachers at Avanti Learning Centres. The team at Avanti is phenomenal, no matter what the time was, Avanti teachers were always available to clear my child’s doubts. I’m happy that my son is going to IIT. Avanti is a boon to aspiring students from this part of Karnataka. I urge all the parents to know more about the entrance exam as that is what will ultimately decide the career of the students and not the board marks. In depth training by the dedicated faculty at Avanti enabled my son to achieve his full potential. “It’s a proud moment for all of us as this will give hope to many students from North Karnataka region that they too can make it to the IITs by studying here only and not by migrating to other places. Now we can humbly claim that Avanti is the only institute providing coaching up to the JEE Advanced level in the twin city. We are dedicated to produce more results like these in the coming years through our IIT/NIT faculty team.” said Sandeep Puranikmath of Avanti Learning Centres.